Preheat oven to 375 degrees. Lightly drizzle olive oil onto the sliced eggplant and season with salt and pepper. Place the eggplant on a cookie sheet and in the oven. Cook eggplant in the oven for 10 minutes or until golden brown. 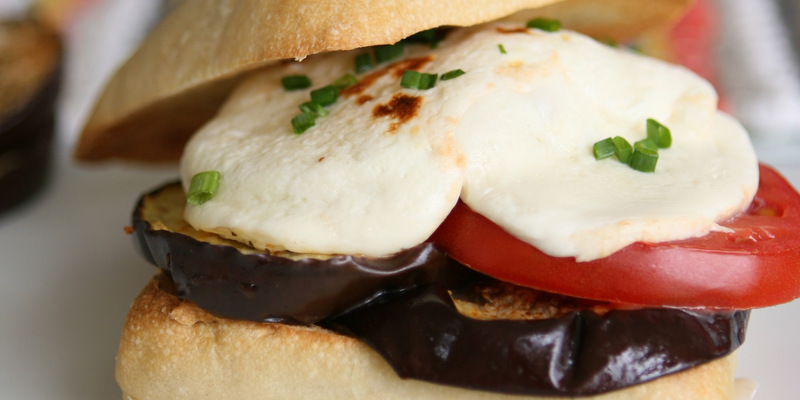 Remove the eggplant from the oven and turn the oven to broil. Lightly drizzle the bread with olive oil, and toast under the broiler. Remove the bread from the broiler when it is toasted. To assemble the sandwich layer the eggplant, tomato, and mozzarella. Place the sandwich back under the broiler to melt the cheese. Remove sandwich from oven and serve warm. Send this recipe to an email address. The following recipe was sent from Follow Fresh from Florida. Text this recipe to your phone or to a friend. US only. Want to cook like our award-winning chef? 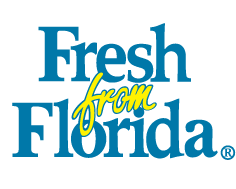 Enter your email address and learn how you can enjoy delicious Fresh From Florida recipes from the comfort of your kitchen. Questions? 1-800-HELP-FLA (1-800-435-7352), Mon.–Fri. 8 a.m.–5 p.m.